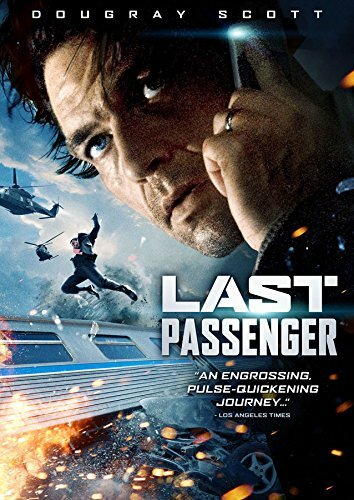 A handful of passengers on a speeding London commuter train hang on for their lives in the gripping thriller Last Passenger , "redolent of both Hitchcock and such high-octane action pictures as Speed and Unstoppable" (The Hollywood Reporter). Dougray Scott (Ripley's Game, Mission: Impossible II) stars as a London doctor and single dad on his way home one night on the high-speed train with his son. He is startled and confused when the train whizzes past his stop - and becomes increasingly desperate to save himself and his mysterious fellow passengers as the train hurtles out of control, without a conductor or brakes but apparently controlled by someone looking to wreak havoc. "Scott's excellent turn in this gripping indie thriller proves he can handle action roles," raved Elizabeth Weitzman of the New York Daily News.